As someone who loves to grow her own herbs and vegetables and make her own clothes whenever possible, it came as no surprise to the people who know me when I began to experiment with making my own wine at home. I think the only surprise came later on, when I started making some wines that were more than just drinkable. 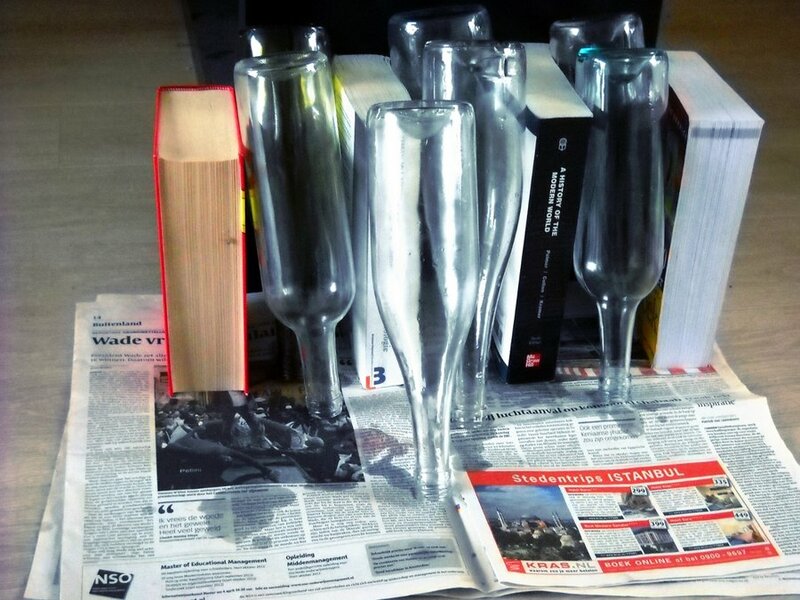 There are lots of reasons to try making your own wine at home; from learning to better understand the other wines you drink to saving money on a habit that can be expensive, but for me the best part is the social aspects of it. When we make wine, we have a small group of friends over to drink our last batch while we get the next rolling. A few months later when it comes time to pop the cork, we have those friends back for dinner again and get another batch in motion. Not only do we pretty much always have some wine fermenting in our house, but we have a fantastic incentive to keep up with close friends who lead busy lives. Who could resist an invitation to come have dinner and taste the wine they helped create? All of the equipment required for making wine can make your home look like the lair of a mad scientist, but don’t be intimidated. The process is complicated, but it is also thousands of years old and fairly simple once you understand what is happening. You’ll start out with a plastic fermenter, which is really just a slightly modified plastic bucket. It should have a lid and a rubber gasket to make sealing it easier. This is where your wine will do most of its fermenting, and it is where you will mix all of the initial wine ingredients, which is everything except for the yeast. The reason to avoid putting the yeast in right away is because you’ll need to put some sodium bisulfate or Campden tablets in first to kill any wild yeast or other bacteria that exist in the equipment. It will also help to eliminate chlorine from the water you use for your wine. This takes 24 hours to dissipate, and if the yeast is added during that time it will be killed along with any other bacteria in the bucket. 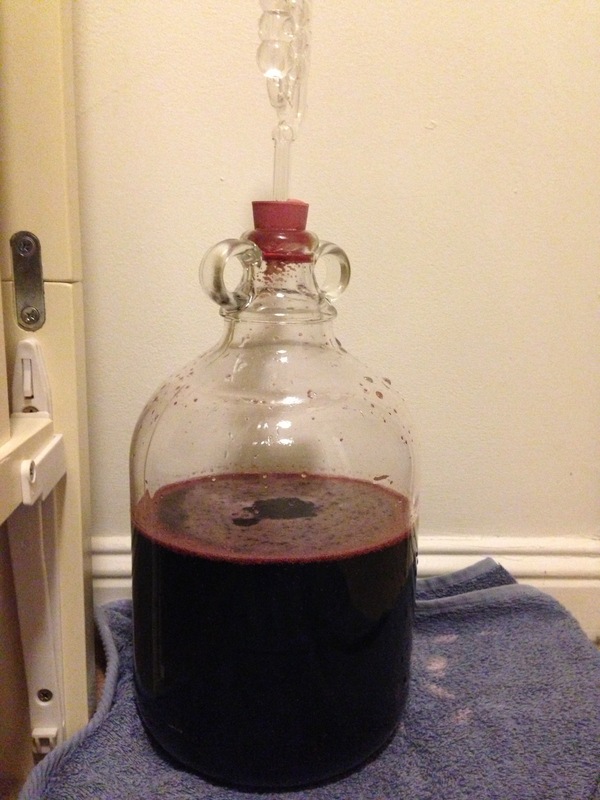 When your yeast has been added and your wine has had an opportunity to ferment for about a week, the time will come to syphon your wine from the fermenter (or bucket) to the carboy. 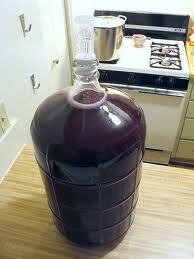 The carboy is a large glass jug, and you’ll need a siphon hose to accomplish this. For this portion of the process you’ll also need an airlock, which will prevent oxygen from entering the carboy while allowing the carbon dioxide created by the fermentation to escape. A hydrometer will allow you to measure the specific gravity of your wine, which will give you a much more accurate idea of when it is finished and ready to drink. After that the only equipment you need to worry about is bottles, corks, and a corker to pop them in there, as well as some potassium sorbate, which will stabilize the wine and prevent it from continuing to ferment in the bottles. There are a couple of pointers that I can offer to first time wine makers that may save you some of the waste and disappointments that I experienced. For one thing, you cannot take sanitation too seriously. 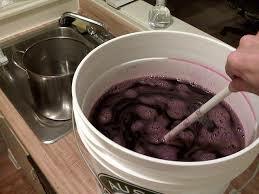 Most suppliers of wine making equipment will offer a cleaner of some variety, and it is the best way to go. You can’t rely on just dish soap or even just bleach to take care of all of the bacteria that may mess with your wine along the way. A professional cleaner designed for this purpose is the only way to go. Another mistake that I made was trying to get into whole grapes before I was ready. Of course, we would all love to be making every aspect of our wine, starting with growing and crushing the grapes, but I don’t have that kind of space, and when I bought and crushed my grapes I wound up with bitter wine from abusing the skins too much. Most places sell kits or concentrates that will give you a place to start. Think of them as training wheels, and don’t try to take them off too soon or you may regret it. Kayla Stevens is a freelance writer who is rarely without a glass of wine, homemade or otherwise. She loves the way that wine brings people together, and she hopes that her wine making misadventures can at least spare some other souls from the same tragedies. The necessary wine making supplies can be found at midwest supplies where Kayla Stevens works. I LOVE this post. I got to do a small wine-making experiment in my WSET classes and I have been collecting the supplies bit by bit and am dying to do this myself. The only thing that has been holding me back is I live in a small apartment and am about to buy a house. Then the mad scientist will be in action. I can’t wait. I will definitely use this as a starting point.